Francisco Javier de Borbón was born on 15 February 1757. He was the son of Carlos III de Borbón, Rey de España and Marie Amalie Prinzessin von Sachsen. He died on 10 April 1771 at age 14. Fernando VI de Borbón, Rey de España was born on 23 September 1713 at Madrid, SpainG. He was the son of Felipe V de Borbón, Rey de España and Maria Luisa Gabriela di Savoia. He married Maria Barbara de Bragança, Infanta de Portugal, daughter of João V de Bragança, Rei de Portugal and Maria Anna Josefa Erzherzogin von Österreich, on 20 January 1729 at Badajoz, SpainG. He died on 10 August 1759 at age 45 at Villa Vicosa, Evora, SpainG. He was a member of the House of Bourbon. He gained the title of Infante de España. He succeeded as the Rey Fernando VI de España in 1746. Maria Barbara de Bragança, Infanta de Portugal was born on 4 December 1711 at Lisbon, PortugalG. She was the daughter of João V de Bragança, Rei de Portugal and Maria Anna Josefa Erzherzogin von Österreich. She married Fernando VI de Borbón, Rey de España, son of Felipe V de Borbón, Rey de España and Maria Luisa Gabriela di Savoia, on 20 January 1729 at Badajoz, SpainG. She died on 27 August 1758 at age 46 at Aranjuez, PortugalG. She was also known as Maria Magdalena Josepha de Bragança. She gained the title of Infanta de Portugal. He was a member of the House of Bourbon. He succeeded as the Rey Luis I de España in 1724. 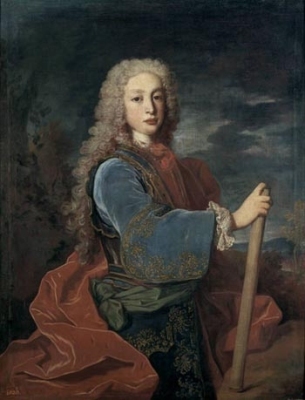 Felipe de Borbón, Infante de España was born on 7 July 1709. He was the son of Felipe V de Borbón, Rey de España and Maria Luisa Gabriela di Savoia. He died in 1709 at Madrid, SpainG. He was a member of the House of Bourbon. He gained the title of Infante de España. 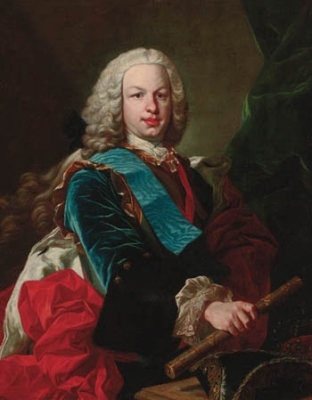 Felipe Pedro Gabriel de Borbón, Infante de España was born on 7 June 1712 at Madrid, SpainG. He was the son of Felipe V de Borbón, Rey de España and Maria Luisa Gabriela di Savoia. He died on 29 December 1719 at age 7 at Madrid, SpainG. Francisco de Borbón was born on 21 March 1717. He was the son of Felipe V de Borbón, Rey de España and Isabella Elizabeth Farnese. 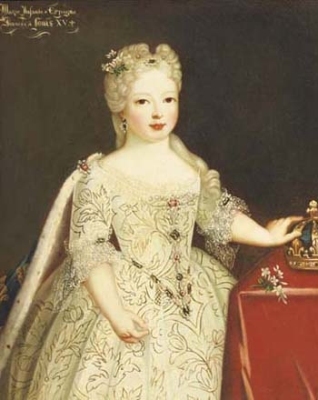 Maria Ana Vittoria de Borbón, Infanta de España was born on 31 January 1718. She was the daughter of Felipe V de Borbón, Rey de España and Isabella Elizabeth Farnese. She was also reported to have been born on 31 March 1718 at Madrid, SpainG. She married Jose I de Bragança, Rei de Portugal, son of João V de Bragança, Rei de Portugal and Maria Anna Josefa Erzherzogin von Österreich, in 1732.2 She was also reported to have been married on 19 January 1729 at Elvas, PortugalG. She died on 15 January 1781 at age 62 at Lisbon, PortugalG.